Because of its abundant rainfall and fertile soil, the Gayo region of Indonesia is globally recognized for the market potential of its high-quality Arabica coffee. But many farmers lack the skills and knowledge to grow the quantity and quality of coffee that would help them keep up in a competitive global market. While coffee cooperatives are expanding to meet the global demand for coffee from Gayo, not all are succeeding in the international marketplace. Despite increased interest, many cooperatives struggle to take full advantage of the international market. 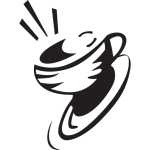 Many lack management and governance skills and have limited capacity to provide services that improve the quality and yield of members’ coffee. 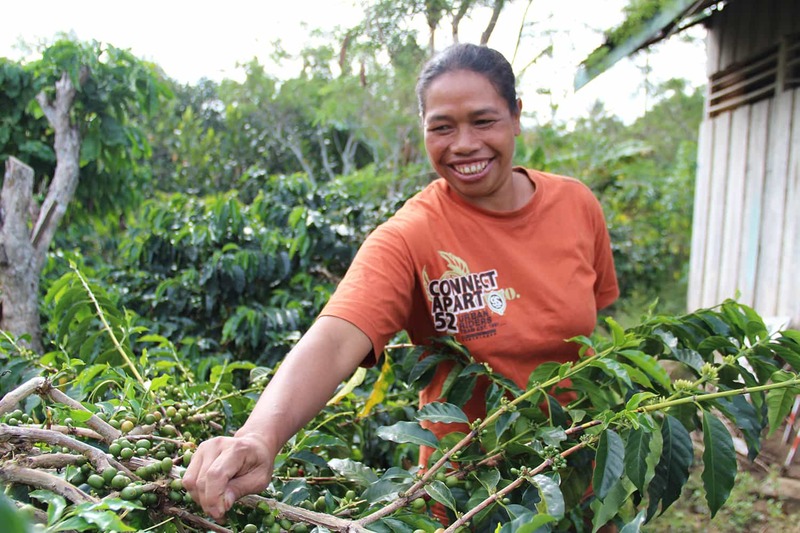 That’s why Lutheran World Relief (LWR), in partnership with Fair Trade USA, Progreso, and Rabobank Foundation began working with four coffee cooperatives in the Gayo region. Through this project, LWR is bringing our nearly 30 years of experience working with coffee producers to Gayo by helping farmers improve coffee quality, increase productivity, improve access to capital and become stronger business partners, all leading to a better life for farming families. Sulastri is a mother of three who supports her family by growing coffee on about 2.5 acres of land in the Gayo region. She’s also a member of Permata Gayo cooperative. Through this project, Sulastri and her husband have learned to better care for their coffee trees and to use improved agricultural methods that help them grow a greater yield of higher quality coffee. “I learned about pruning the trees and cutting the branches so sunlight can go inside [and reach more of the plant],” Sulastri says. LWR facilitated the installation of eight wet mill processing facilities and organic fertilizer facilities and trained about 200 farmers to produce their own organic fertilizer using overripe fruit that is readily available on their own farms a much-improved practice compared to their traditional practice of simply using coffee pulp and dried leaves as fertilizer. They’ve learned to reuse the water from coffee washing, mixing it with palm sugar to speed up the composting process. Each week the group produces 200-400 kg of organic fertilizer. To strengthen the organizational capacity of the cooperatives, LWR provided governance and management training so cooperatives can provide better services to members and form stronger relationships with lending institutions and buyers. Lutheran World Relief believes that satisfying growing global demand for coffee and cocoa and improving the lives of farmers can – and should – go hand in hand. Through our Ground Up Initiative, we are actively applying successful project methodologies to improve the lives of smallholder coffee and cocoa farmers around the world. You can support this work with a donation to LWR at lwr.org, or by following us on Facebook (facebook.com/LuthWorldRelief) or Twitter (twitter.com/LuthWorldRelief). For companies interested in learning more about coffee from the Gayo region, we invite you to take part in Temu Kopi — now in its third year — where representatives from across the Indonesian coffee value chain come together for discussions on issues of importance to the coffee community. For more information on Temu Kopi, please email [email protected]. Lutheran World Relief works to improve the lives of smallholder farmers and people experiencing poverty in Africa, Asia and Latin America, both in times of emergencies and for the long term. With the financial support of U.S. Lutherans and other donors, LWR strengthens communities through programs in agriculture, climate and emergency operations. LWR works with partners, supporters and technical assistance providers to achieve lasting results. This project works with 5,270 small-scale coffee producers and delegates and will reach 26,350 people.